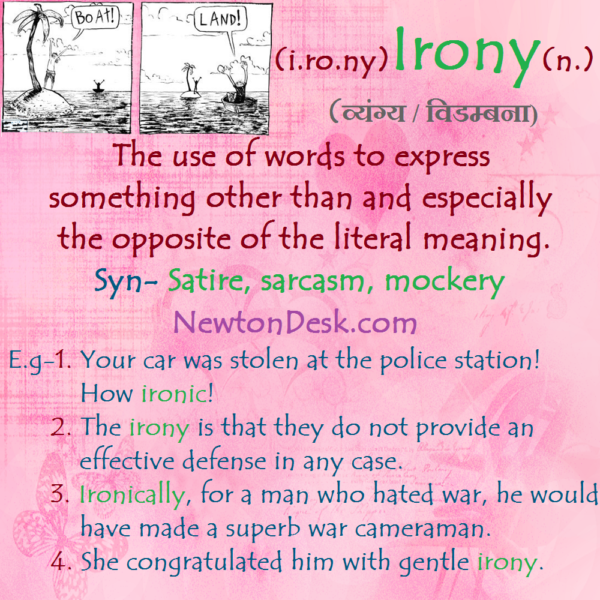 Home / English Vocabulary / Irony – Express Opposite of The Literal Meaning. Irony – Express Opposite of The Literal Meaning. 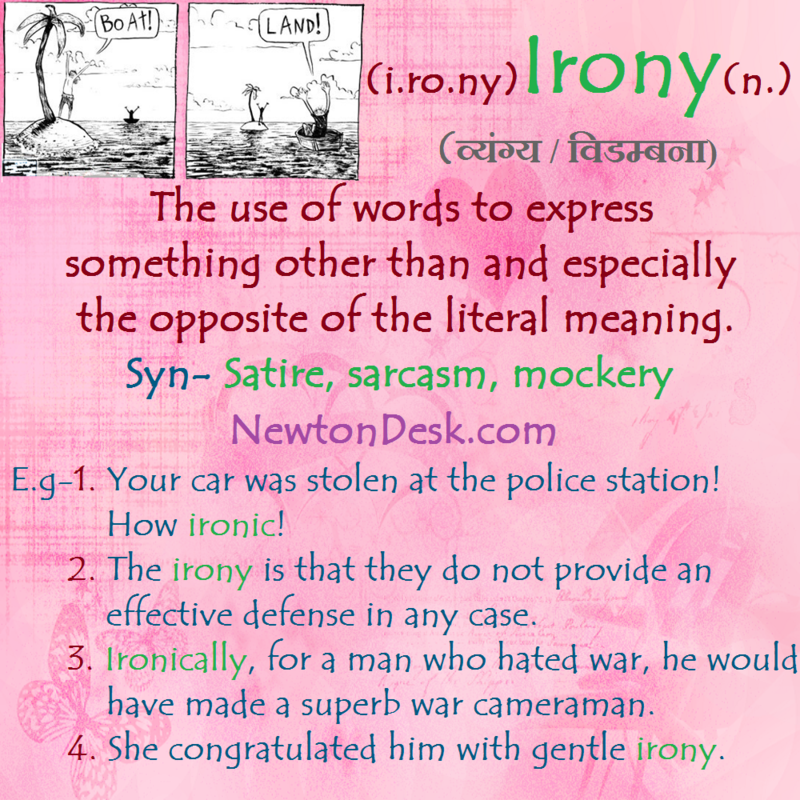 The use of words to express something other than and especially the opposite of the literal meaning. E.g-1. Your car was stolen at the police station! How ironic! 2. The irony is that they do not provide an effective defense in any case. 3. Ironically, for a man who hated war, he would have made a superb war cameraman. 4. She congratulated him with gentle irony.